Mother’s Day came and went several days ago and I did not spend it with my mother. So this post will be a rambling compilation of my current thoughts about my mother. Only recently, has the truth of the matter slowly pierced through my thick skull and hardened heart. I can say without doubt or hesitation that I have an amazing mother. It has always been so plainly and clearly lain before me my entire life that I am privileged beyond measure with the mother that I have; but as a boy, I refused to fully appreciate my blessings and ended my childhood years with as many regrets as wonderful memories. I so clearly remember the first time that I bought my mom flowers for Mother’s Day. 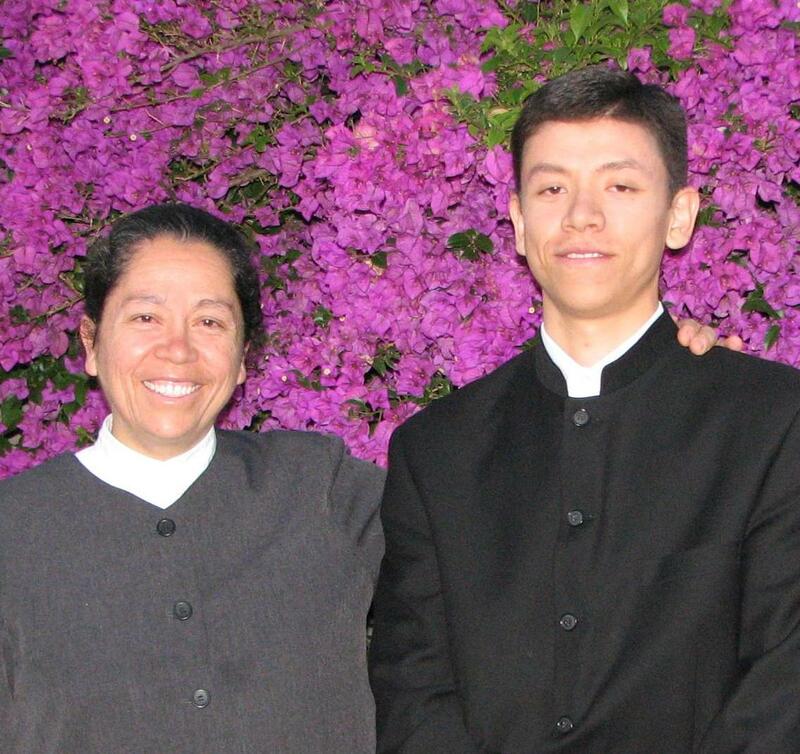 It was 2008, and I was returning home from a visit to a church orphanage in Baja, CA. One of my friends, persuaded me to do it, more like challenged me to do it, and I accepted the dare. The flowers were not even that gorgeous, but when I handed my mom those flowers, I was stunned by her speechlessness and was disconcerted by her completely breaking down and weeping. Those tears haunt me to this day. I never knew how much my mother’s heart yearned to have her oldest son exhibit some type of emotion or appreciation for her. The first time that I told my mom that I loved her, was after I turned 21. And sadly, once again, I left her speechless and weeping. Oh yes, she had playfully forced me to tell her those words many times growing up, but I never simply spoken those words voluntarily. I now realize that that her sweet smile and glistening eyes, was caused by her hoping to hear me speak those words. I was too tough, too cool, and too “unattached” to ever admit my love for her. Once when she told me that God had only given me one mother, I sarcastically replied that the reason for that was because He knew I couldn’t sanely handle two of her. And now my cup of regret overfloweth. As I grew up, my mother provided the calming and encouraging presence in our home. Every time that my childish sky was darkened, it was my mother who with her encouraging words, loving prayers, or selfless actions, that drove away the rain clouds and brought the sunshine back again. Her sweet smile as she would read those Bible stories to me will forever be etched into my mind. I will forever hear her spasms of laughter as she breathlessly chased us around the garage playing tag with us children. Until the age of ten, I was a normal boy who appreciated his parents and who both received and reciprocated love. I no longer wanted to continue my kind and caring ways. I clammed up. Disconnected all deep communication with my parents, and single-handedly destroyed my relationship with my parents. My mother thought, rather hoped, that it was merely a passing whim of mine, but in my rebellion I permanently engrained my disdain for emotion and my wariness of deep human connection into my physiological being and personality. And yet, she still loved me – definitely more than I deserved. I often heard her weeping prayers when she thought I wasn’t around asking God to give her help and wisdom in raising me to be a “man after God’s own heart”. I took her for granted; expected her to do more; despised her for wanting to be an integral part of my life; pushed her away when she sought to have her “heart-to-heart” talks with me. And then I broke her heart. My mom raised me to love God, read the Bible, and do good. But at the age of 19, I became the black sheep of the family by turning my back on God, religion, and my church. Due to the nature of their beliefs and my influence on my younger siblings, my interaction with my family was severed. Unless I return in deep humility and seek a real relationship with God, I cannot be a part of my family’s life. Now, that I see my family so rarely, I am realizing how warped my view towards my parents was. My mother’s concern and love for me has only increased, but my current way of life is abhorrent to her. She leaves tearful messages on my phone where she expresses her love and prayers for me. She prays that God will protect me in my folly and somehow find a way to bring me back. Although her text messages on Friday and Saturday nights are perhaps inopportune, they make me realize how much my mom loves me. However window of opportunity to repair the relationship between my mother and I is so slim. I rarely see her, and our telephone conversations are limited. God forbid, but my greatest fear and dread will be to hear the news that my mother has passed on. Even if I were to cry, tears would not heal the hurts and regrets that I have. My memory clearly recalls the times where I spoke disrespectfully, pushed her hugs away, or simply refused to tell her my troubles. Those memories will haunt me my entire life. My mother is still with me. And as she grows older, I want to create different memories with her. I now, albeit haltingly, tell her that I love her the few times that I see her and although I know that nothing can remove the scars I’ve caused, I at least want her to know that I appreciate her. Tupac’s words in his song, “Dear Mama”, are so appropriate in my case – “…There’s no way I can pay you back, but the plan is to show you that I understand, you are appreciated…” – and I dedicate that song to my mother. Mom, if you ever read this, please knows that I love you.